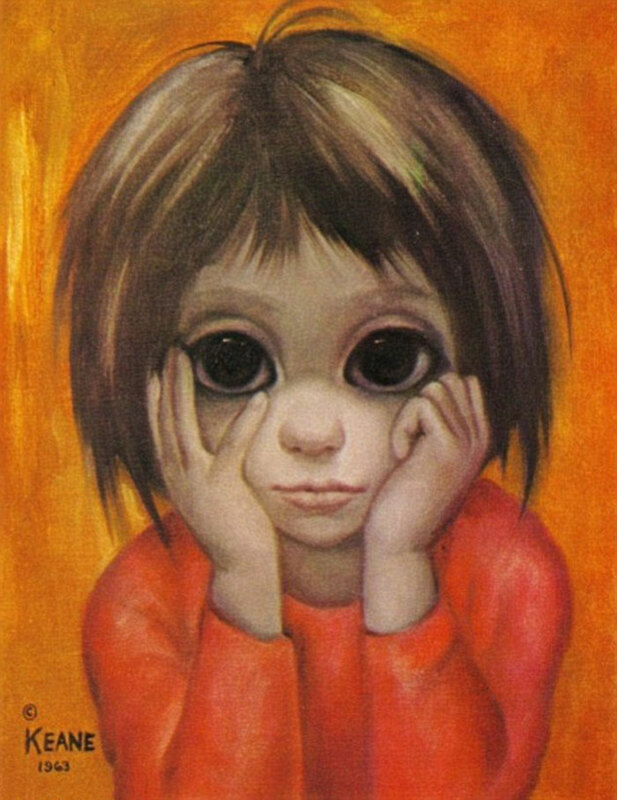 Margaret Ulbrich was a newly single mother in North Beach, San Francisco when she met Walter Keane at the local outdoor art fair in 1955. She was making dollar portraits while Walter sold his Montmartre street-scenes in the next booth. 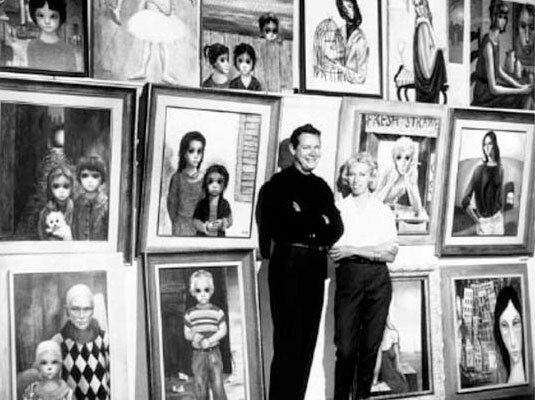 Soon Margaret and Walter married, and Margaret began to sign her paintings “Keane.” They struggled together to find a gallery, with Walter finagling a deal with local beatnik hotspot “The Hungry i” to set up shop in the club’s corridor. 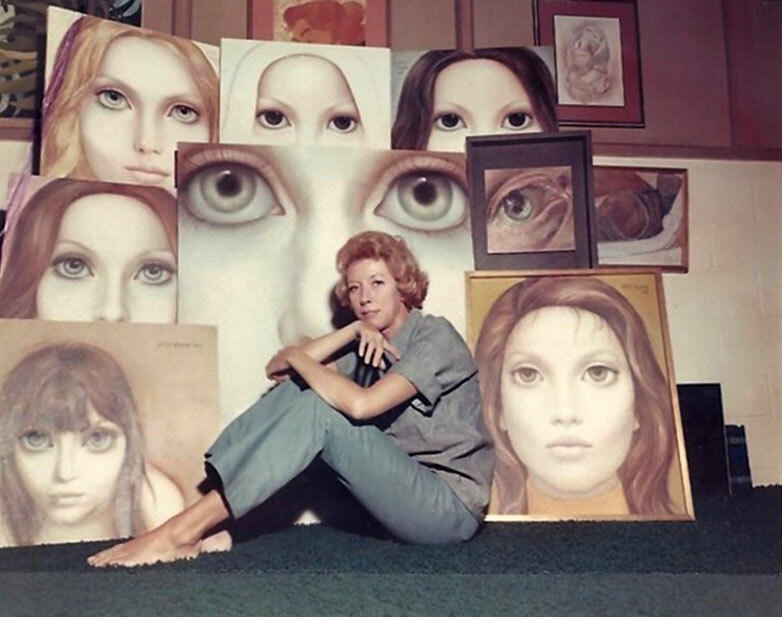 Margaret Keane had not planned on revealing the truth about her paintings, but in a 1970 interview it just sort of happened, she says. When Margaret eventually left Walter and revealed to the world that she was the real creator, he sued her. 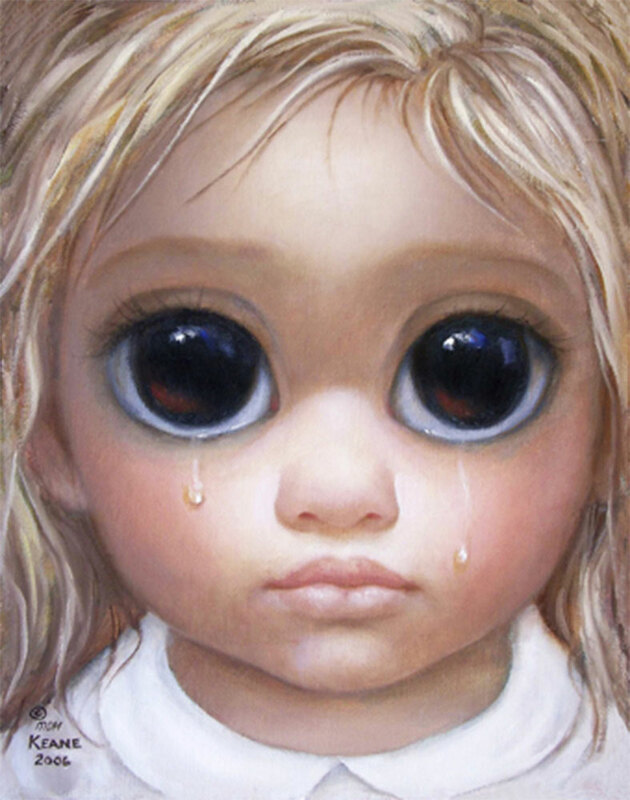 A judge ordered a paint-off in the courtroom, where Margaret handily executed her signature melancholy portrait of a doe-eyed waif in 53 minutes. Walter complained of a sore shoulder, and the court awarded Margaret $4 million in damages. 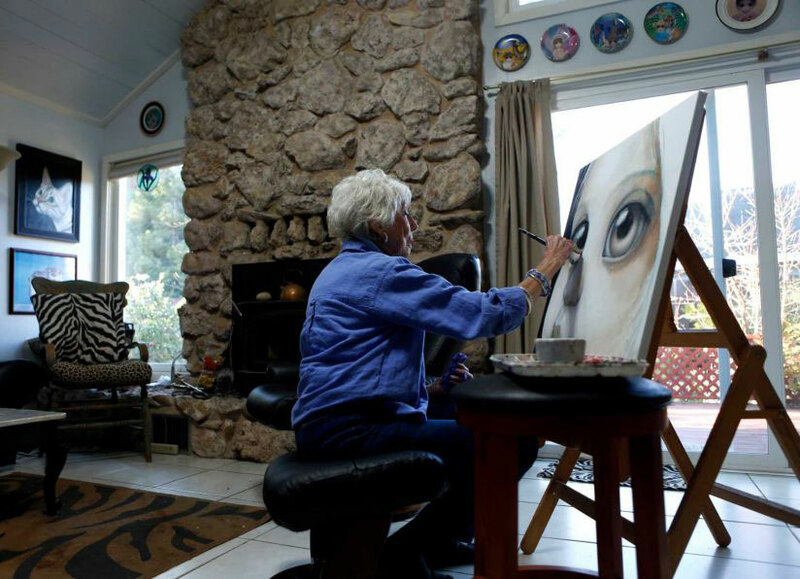 Margaret Keane at work in her Napa studio. 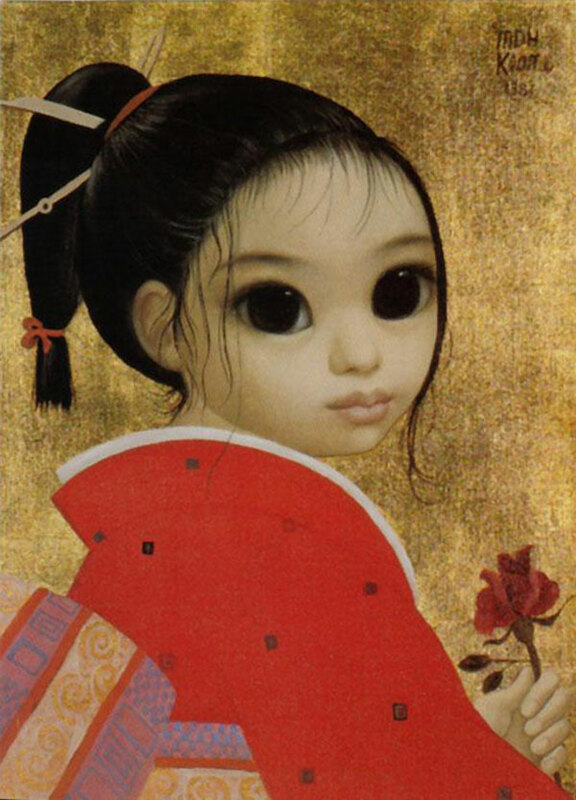 Esoterica: Margaret (and Walter) Keane’s “Big Eyes” were called, “the most popular art now being produced in the free world,” by Life Magazine in 1965. New York Times critic John Canaday described them at the time as, “the very definition of tasteless hack work,” and “sentimental kitsch.” Andy Warhol said, “It has to be good. 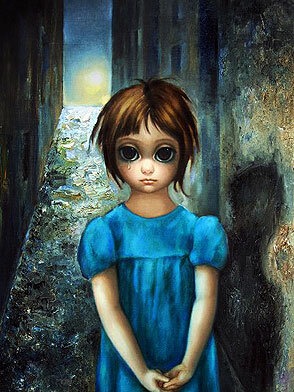 If it were bad, so many people wouldn’t like it.” Margaret Keane is now 88 and lives in Napa, California. She paints daily. 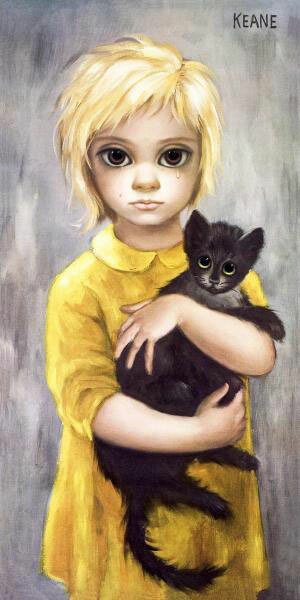 Walter Keane died in 2000 at the age of 85. He was never witnessed actually painting. The next workshop is being held on San Juan Island, Washington from June 15th to June 19th, 2015.